Tsogmo Lake or Changu Lake is a glacial lake in the East Sikkim, India, approximately 40 kilometers / 25 miles away from Gangtok at altitude of nearly 3780 meters / 12400 feet. The road to Nathu La passes the lake on north side. This small settlement is located in the northern part of the state in North Sikkim district and is located at an altitude of nearly 9600 feet. Lachung is a tourist hotspot and a scenic destination. Yumthang sightseeing along with the Hot water spring is included in the standard package – Katao, Zero Point and Yumesamdong are optional and are available at supplement cost. 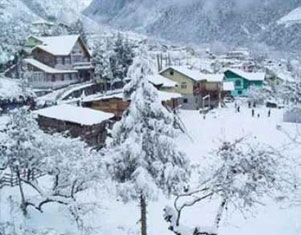 Lachung and Lachen play a vital role in North Sikkim tourism. It is called as the flower valley, hot springs, glaciers, and the majestic snow covered Himalayas. All these make North Sikkim a heaven in earth. There standard package takes care of Lachung stay - Yumthang sightseeing along with the Hot water Spring - Lachung tour Yumesamdong, Katao are optional and are available at supplement cost.